Even if you produce a professional-grade video that tells all about your products, it doesn’t matter if watching it is more trouble than it’s worth. People don’t like being inconvenienced, so make sure your Instagram stories are vertical (flipping a phone to the side is too much work for many people—tools like Kapwing can help you convert between formats if you forgot this habit and filmed horizontally) and everything on your website loads quickly. It also helps if people can find your videos. Decide which keywords you want to rank highly in and use them in your video’s title and description tags. Also, create a video sitemap so that Google’s spiders can better assess the content within the video itself. Whether your video is on social media, your website, or YouTube (which Google gives a great deal of authority to), make sure you fill out every box to improve your rankings. Remember to share it on different platforms, too. On a related note, make sure you have video in opportune and appropriate places. Two-minute interviews with an expert from your industry would go well on YouTube or LinkedIn, but it’s too long for an Instagram story. Your audience on Pinterest, for that matter, is probably a bit different than your audience on Twitter, so make sure that where you publish your videos matches the audience that is most likely to view it. Now, let’s get down to one of the primary reasons why you are making videos in the first place: you are making them spread the word about your existence, yes, but you also want to inform people. What value can your products and services add to people’s lives? How do they differ from your competitors? Maybe you can create a how-to guide, or give behind-the-scenes peeks at how your business operates. You shouldn’t stick to only talking about your business, though. People want to know about your industry as a whole, so keep them updated on the latest trends and answer questions they didn’t even know they had. Talking about multiple subjects helps to establish yourself as a thought leader in your industry, and therefore bolsters your credibility—and consumers trust businesses that prove they know what they are talking about. Small businesses can especially benefit from humor because it helps them build relationships with customers. Also, people will not follow you on social media if your content is dull, so make sure everything you produce is captivating: hook people in within the first couple of seconds, and then focus on telling a story instead of talking about promotions and sales. You might be surprised to hear this, but Facebook users watch 85 percent of videos without sound. Many people browse social media while in public places and do not want to disturb anyone—which means that video with text gets watched, and video without its ignored. Including transcripts and captions also make your videos accessible for people without hearing. 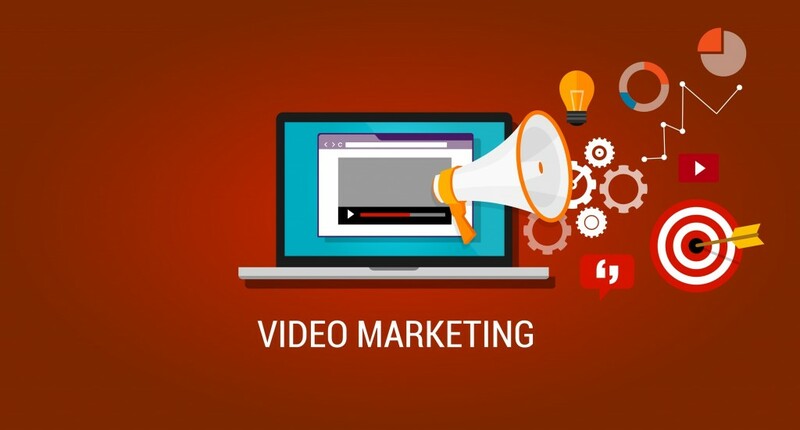 Marketing with videos is an effective way of communicating with customers, but you do not want to waste time or resources if you do not take care of other details that encourage people to actually watch them. How will you create compelling video content? Do You Need to Purchase New CPA Review Material for 2019?